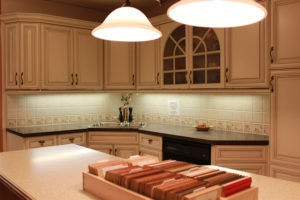 Our expert staff can help you complete all your kitchen renovation projects – whether it’s replacing your lighting and faucets, upgrading or installing new cabinets, or redoing the flooring with new tile, our quality kitchen renovation products and helpful advice can make a world of difference for your project. Our design team also offers FREE kitchen & bathroom in-house quotes and designs for home or cottage renovations in the Peterborough area. If you’d rather have our team of licensed contractors complete your kitchen renovation project for you, we offer full kitchen remodelling and installation services. At Merrett Home Hardware Peterborough we supply nothing but premium grade lumber with less wane, splits, twists, and defects, which takes the guess work out of choosing the best lumber for your project. The wide selection, competitive price, and quality of our lumber makes all the difference. Contractors and professionals often speak to the quality of our lumber exceeding our competitors, and how that produces a better finished product while saving them valuable time and money. 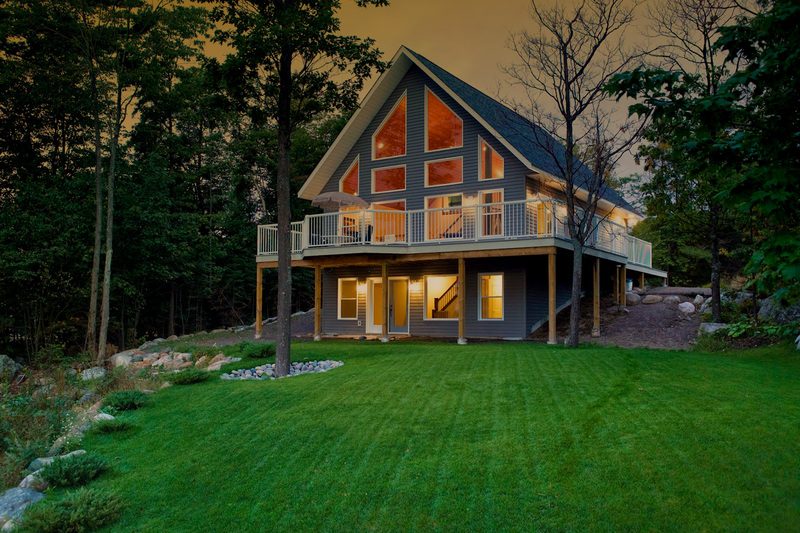 Our helpful, friendly staff offer expert advice for choosing the best lumber to assist with your project’s needs – from deck designs and small renovation projects to complete builds! 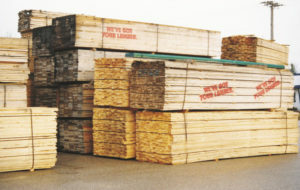 We can offer exceptional pricing and huge lumber selection. Looking to have a new shower or toilet installed? We carry a wide variety of toilet and shower products that can improve your bathroom’s design and functionality. Our sinks and countertops can be sold together or as separate products in a wide range of styles; under mount, drop-in, steel, china, vessel, wall hung, and pedestal. 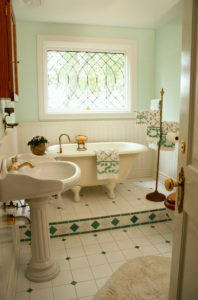 We also offer complete bathroom design, renovation, and installation services from our experienced team of contractors. 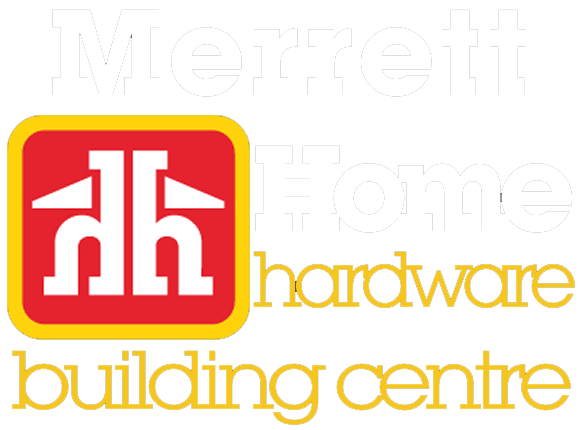 Schedule a free in-home or in-store consultation for your next home improvement project with Merrett Home Hardware. Whether you’re staining your deck or painting your bathroom, our painting department can help you achieve the best look possible. We will colour match almost anything and keep a record of what colours you use for your painting projects. At Merrett Home Hardware Peterborough, we have a wide selection of stains available; water-based, oil-based, semi-transparent, and stunning solid colours. As with any DIY project, our staff are happy to walk you through the painting or staining process. 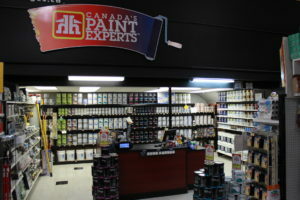 Merrett Home Hardware is your source for quality painting products and expert advice. We also carry a massive selection of brushes, rollers, paints, and primers to help you get the best results from your paint or stain. Hardware, Power Tools and More! Our fully stocked store features a huge assortment of power tools, hardware and more! 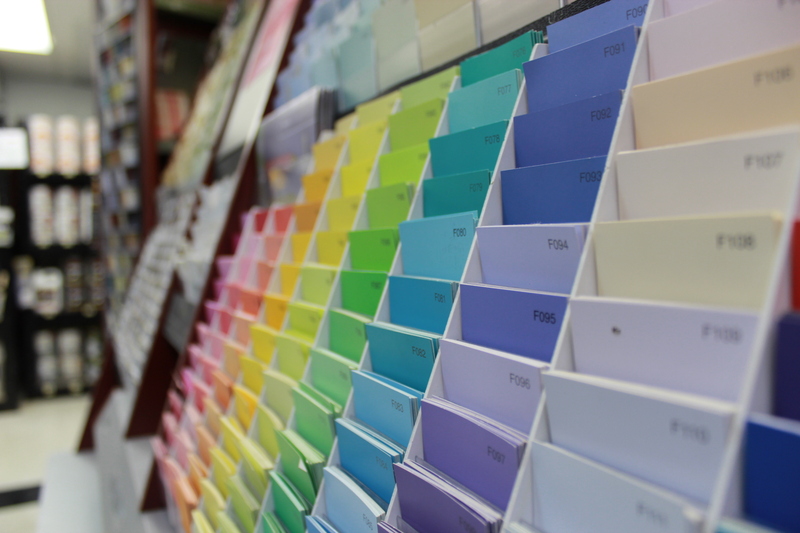 Our paint department features computer-based paint matching on our complete line of quality paints and stains – made right here in Canada in Home Hardware’s own paint factory, where we can control quality to offer an exceptional paint for an excellent price! Our lumber yard stocks a complete line of building materials for cottagers, weekend warriors and the do-it-yourself (DIY) crowd. Lumber, plywood, shingles, windows, doors and more! 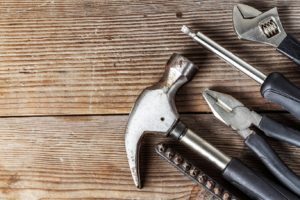 Whether you’re a professional contractor or a first-time homeowner, we have all the products you need to make your project a success. Ask about our delivery services too! Our Contractor Sales Team serves professional contractors and builders with knowledgeable service, excellent pricing and flexible delivery from our fleet of trucks including boom lifts. At Merrett Home Hardware Peterborough, we also offer complete tool and equipment rentals. 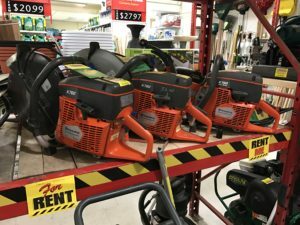 Our well maintained selection of rental tools and equipment includes everything from chainsaws, leaf blowers, lawn aerators, chippers, log splitters, cement mixers, tampers, post hole augers, roto tillers, snow blowers to hand tools, tile cutters, saws, drills, ladders, scaffolding and so much more! We have 4 hour, daily, weekly, and monthly rental rates. You can reserve your tools in advance so you have them exactly when you need them. 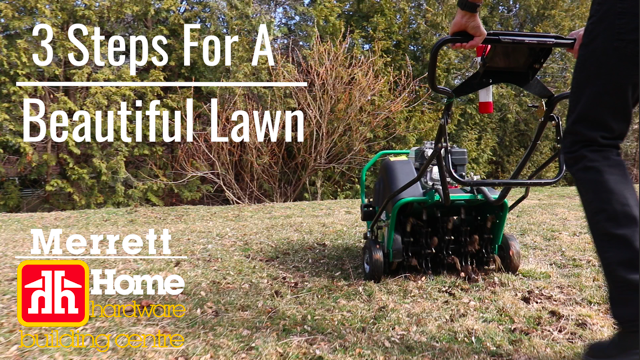 Your tool rentals will be dropped off at your home and picked up when you’re done. Half day rentals are also available. Call us to reserve. We are Peterborough & the Kawartha’s building project experts! 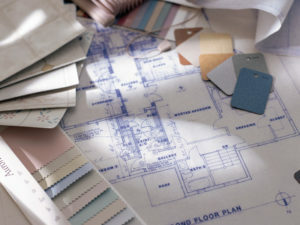 Whether you’re looking to remodel your bathroom, renovate your basement, install a deck or fence, design your dream kitchen, get started with that beautiful addition, or build your waterfront cottage or country home, you can depend on our team for expert, dependable advice and complete construction and building services. 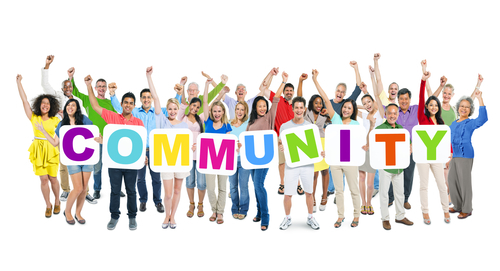 After all, we’ve been helping Home & Cottage Owners in Peterborough and the Kawartha’s since 1996.